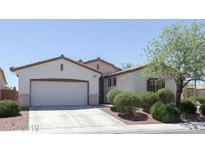 Below you can view all the homes for sale in the Centennial Bruce subdivision located in North Las Vegas Nevada. 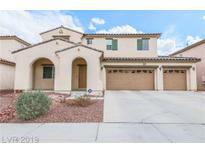 Listings in Centennial Bruce are updated daily from data we receive from the Las Vegas multiple listing service. To learn more about any of these homes or to receive custom notifications when a new property is listed for sale in Centennial Bruce, give us a call at 702-323-5963. Upgraded features include new carpet in select rooms. MLS#2090005. Opendoor Brokerage LLC. Large living rm w/entertainment niche+romantic fireplace, kitchen w/breakfast bar, tile counters+pantry, master suite w/double vanities, roman tub+ separate shower, ceiling fans in all bdrms, blinds, recessed lighting, separate laundry rm, solar screens, storm entry door, covered front+rear patios, mature landscaping, 3-car tandem garage. MLS#2087603. Mt Charleston Realty, Inc. Solar on the Roof Makes This a Very Energy Efficient Home MLS#2086507. Keller Williams Market Place. 3 car garage with extra storage. MLS#2084558. Keller Williams Southern Nevada. Tranquility awaits you here, in your new home. All appliances stay. MLS#2083082. Property Search Vegas LLC. * Open And Airy Kitchen With Breakfast Bar *two Car Garage With Convenient Upstairs Laundry Room* Community Park. MLS#2081037. Century 21 Americana. Usb Power Plugs At Key Locations. Move In Ready. Gated Community. MLS#2078211. TR Realty. This Home Is A Must See! MLS#2077221. Evolve Realty. Features To Include: Freshly Painted Two Tone Paint, New Carpet And Flooring, Open Living Room , Kitchen With Plenty Of Counter And Cabinet Space, Master Suite With Walk In Closet And Separate Shower And Tub, Nice Sized Bedrooms And Closet Spaces, New Faucets, New Disposal, Backyard Patio, Paver Driveway. MLS#2077790. Brazill Team Real Estate. Separate Laundry Area. Charming Kitchen For Entertainment. MLS#2073202. Re/Max Titans. Large back yard can fit a swimming pool of your desire to enjoy the hot summer at home. MLS#2070640. John Griffith Realty. Gorgeous New Epoxy Garage Floor Coating. MLS#2070659. First Full Service Realty. A park is part of the HOA. MLS#2067814. Opendoor Brokerage LLC. Great Two Story Home In Gated Community***3 Bedroom, 2 1/2 Bath**open Plan**built-in Office At The Top Of The Stairs***large Master With Walk In Closet ***master Bath Has Dual Sinks And Separate Shower/Tub** Conveniently Located To Shopping, Banks And Restaurants*** Large Community Park Across The Street With Playground MLS#2069076. Urban Settlements. Large Back Yard Awaits Your Imagination! MLS#2069518. United Realty Group. Near shopping, freeways, and Nellis AFB. Buyer to verify all. MLS#2059151. Icon Realty. Great Location And Lovely Community!! Lease Buyout-30 Day Move-in MLS#2036445. Turn Key Property Solutions. Open And Inviting Living Room With Separate Family Room Open To The Kitchen. Dining/Kitchen Area Is Spacious! MLS#2025792. Principle Realty Advisors. *excellent 3 Bedroom House In A Nice Gated Community* *spacious Kitchen With Custom Cabinets* *two Car Garage And A Convenient Upstairs Laundry Room* Spacious Backyard For Your Family Summer Meetings* *a Convenient Community Park For Your Evening Walks Along With Your Pets* MLS#1991578. Realty ONE Group, Inc.
*excellent 3 Bedroom House In A Nice Gated Community* * Nice Kitchen With Custom Cabinets* *two Car Garage And A Convenient Upstairs Laundry Room* *spacious Backyard For Your Family Summer Meetings* *a Convenient Community Park For Your Evening Walks Along With Your Pets. MLS#1991591. Realty ONE Group, Inc.